Hidden Histories: Herbs tells the stories of 150 plants used throughout history for their culinary, medical and other properties. Did you know that rosemary was burned as incense, or that mandrake root was used in exorcisms? Since ancient times, people have known that certain plants possess mysterious special properties. Those same herbs still exist in the modern world but much early knowledge about them have been lost. 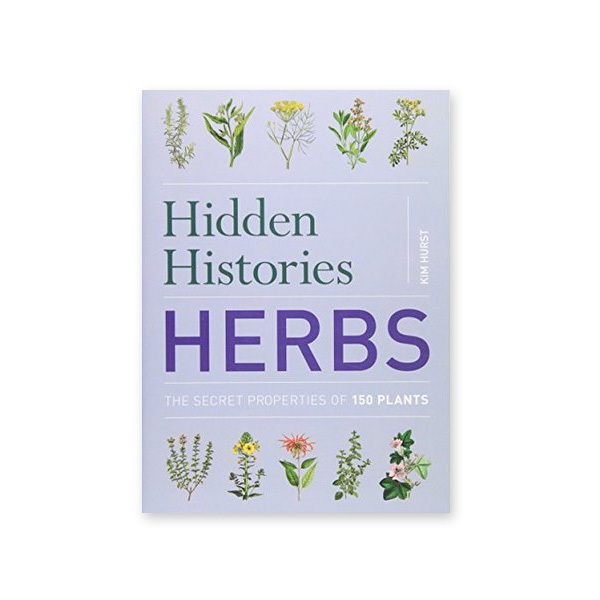 Hidden Histories: Herbs collects together the extraordinary and largely forgotten stories of 150 special plants, and reveals how their secret properties can still be put to culinary, medicinal and cosmetic use. You will find traditional tips for flavouring dishes made by medieval cottagers, herbal remedies for digestive disorders and coughs, and herb-based recipes for insect repellents. With a full-colour illustration of every herb and notes on how to cultivate them, Hidden Histories: Herbs is an exquisite cornucopia of archaic herbal wisdom.